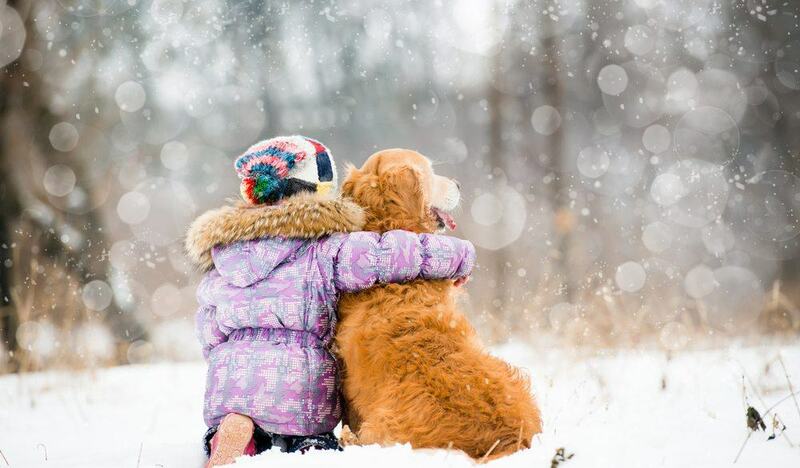 Humans prepare for winter all the time with coats, sweaters, hats, gloves, scarves, boots, pet safe salt, shovels and more. 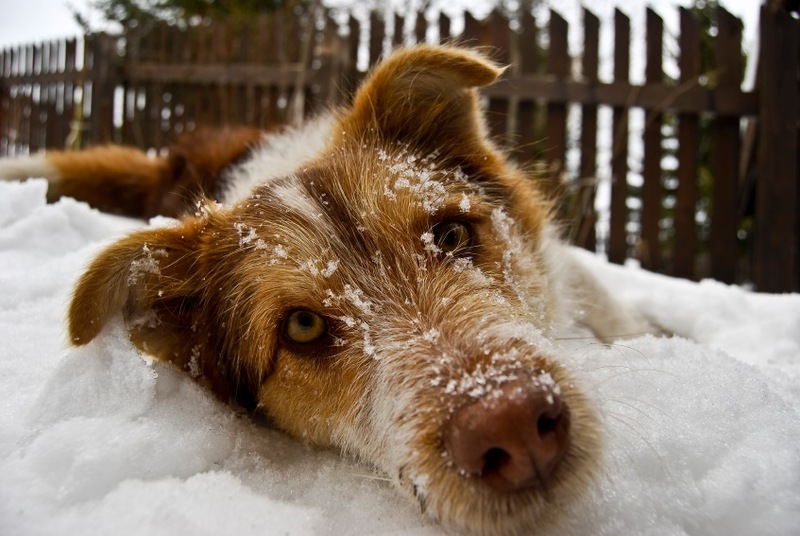 What can we do to prepare our dogs for the cold? Sweaters are great for some dogs, while other dogs have fur that protects them from cold temperatures. 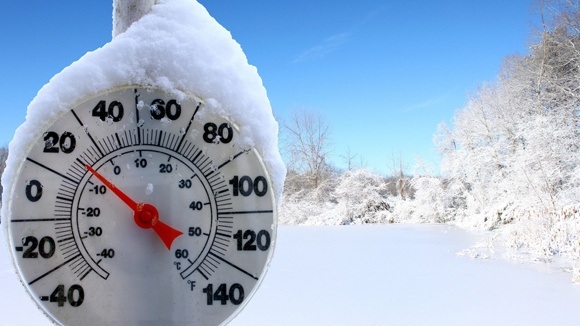 If you have a coat, you feel well protected from freezing temperatures. What happens when your bare hands are exposed and your ears are freezing? The rest of your body feels very cold and it takes a while for you to warm back up. Protect your dog with booties and socks like you would with gloves. Expose them to socks and booties well in advance before the winter months. Put them on and let them walk around indoors, using treats and fun games while they wear them. If they love meal time, put them on and give them their food. As puppies, it is important to teach your dog that holding their paws and touch their ears is fun! This helps for vet checks, tick checks, stress free grooming time and more! 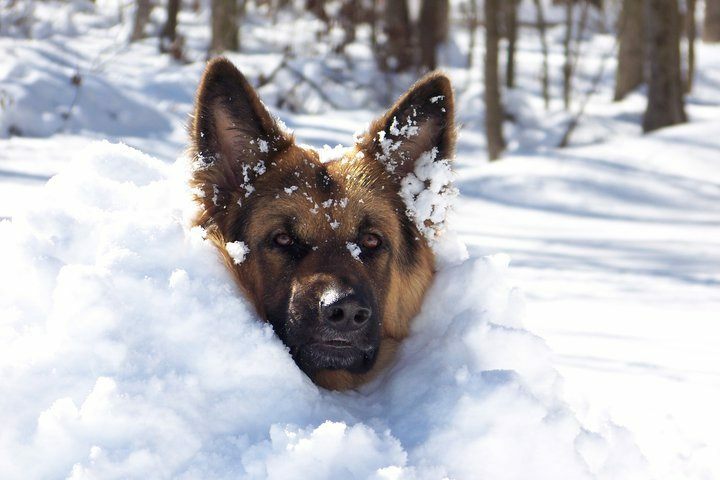 Remember, if it is too cold for you, it is too cold for your dog. Booties and socks keep your dog warm and prevent your dog from the dangers of salt and frostbite! Get your dog used to socks and booties now! If booties and socks are difficult for you and your dog, keep them safe with pet safe wax protection. Mushers Secret Paw protection wax is a great alternative to booties to protect them from salt. This does not protect them from freezing temperatures! If you think your dog has been exposed to freezing temperatures, use dry towels and blankets that have been warmed by the dryer. Keep them wrapped up and call your vet right away. If it is in the low or high 30’s and bellow, do not let your dog outside longer than a quick relief walk. If your dog does not go to the bathroom, let them back in side to warm up and try again later. If your dog struggles to use the bathroom when there is snow, still try to do short relief walks. If they do not go on the first try, bring them inside to warm up and try again later. Once they do go to the bathroom outside, reward them 3 treats, one right after the other with a high value treat. Keep your pets occupied during the winter months with mental stimulation games in doors. Enter your dog in an indoor agility class to prevent “cabin fever” and an opportunity to build a positive relationship with your dog.